100 days to the election! The fight to stop Kavanaugh from being nominated to the Supreme Court continues. Keep up calls to Senators Harris and Feinstein so they know we need them to persevere! 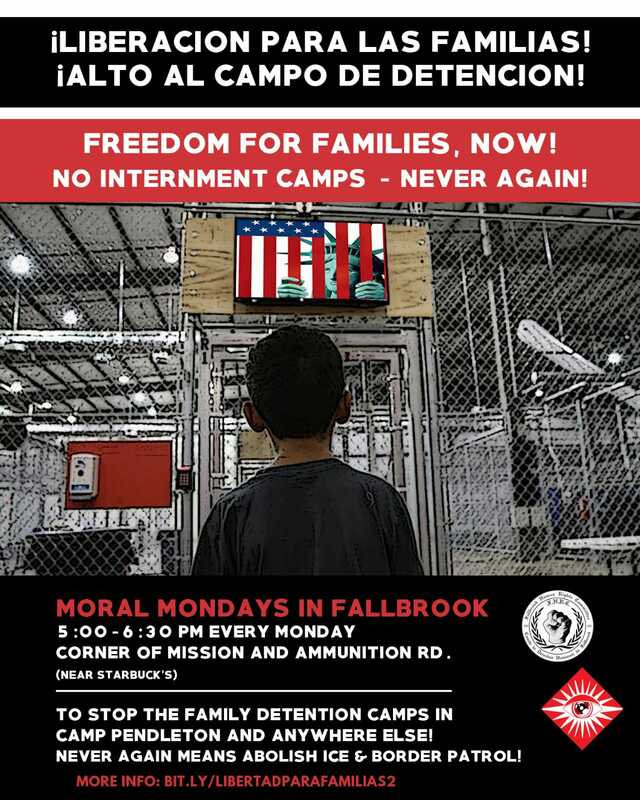 Tomorrow, the Fallbrook Human Rights Committee is hosting a protest to push for the rejection of a proposal to build detention camps in Camp Pendleton. You can get more information and sign up here. Phonebanking voters and canvassing neighborhoods. You can sign up to volunteer here or come in anytime to get trained during office hours. Office locations and hours are below. The campaign is also officially recruiting precinct captains. Precinct Captains will take responsibility to communicate personally with targeted voters in assigned precincts to educate them about Mike, persuade them to vote for Mike, and turn them out to vote in November. State Senate, District 36 - Marggie Castellano is running against GOP incumbent Patricia Bates for this seat in the state senate.